Full-length leather insole made from fine, breathable sheepskin. Latex-free activated carbon filter to prevent odour and support ventilation. 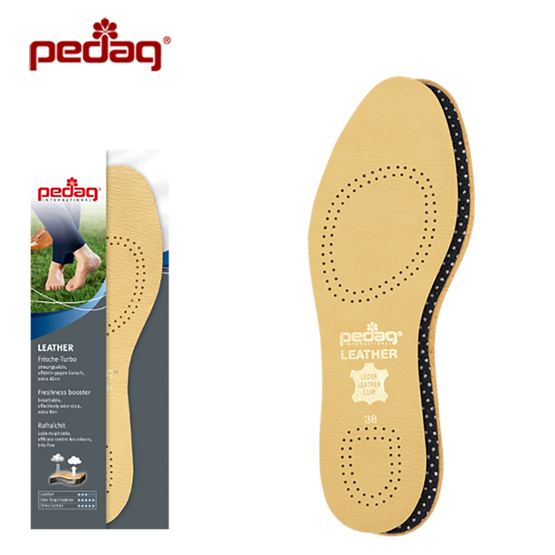 Pedag Leather provides comfort and helps keep feet feeling fresh.